Hoboken, New Jersey, October 24, 2013— Ironstate Development Company and Mack-Cali Realty Corporation (NYSE: CLI) announced today that their URL™ Harborside mixed-use development in Jersey City has been awarded $33 million in tax credits from the New Jersey Economic Development Authority (NJEDA). 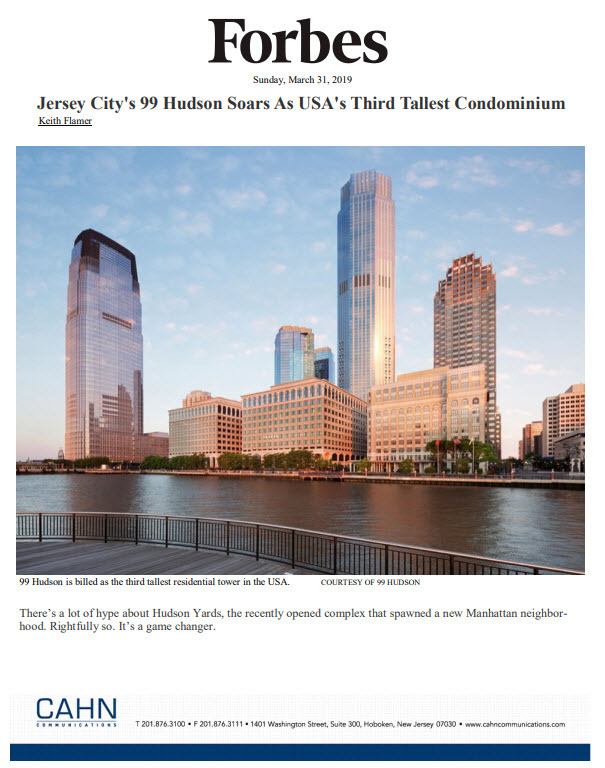 The $291 million development, the first phase of a project that will feature three residential towers along the Jersey City waterfront, was chosen under a competitive solicitation by the NJEDA as part of its efforts to encourage significant redevelopment in urban centers and to support diverse business expansion and retention in the garden state. The award is consistent with the recently signed New Jersey Economic Opportunity Act of 2013. The project is expected to create approximately 700 construction jobs. The joint-venture partners will break ground later this year on URL™ Harborside (Urban Ready Living™), a multi-phase development that will ultimately include three residential rental towers, ancillary retail space, and parking. It will add a vibrant housing component to Jersey City’s Harborside, Mack-Cali’s waterfront “city within a city” office complex. 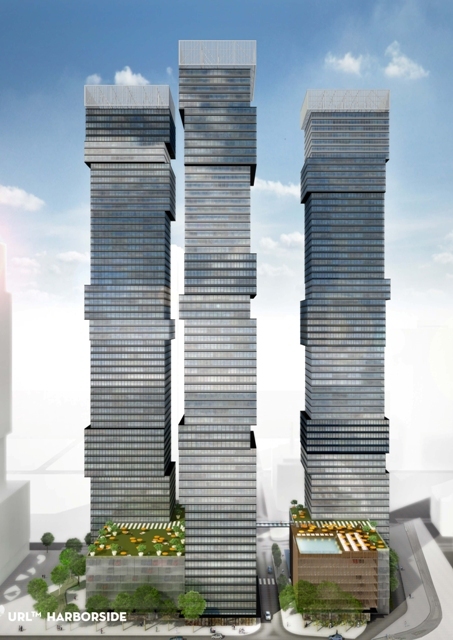 The first phase of the project will consist of a 69-story tower with 763 apartment units built on a parking pedestal. The innovative design of URL™ Harborside allows for tremendous living density in a small footprint. Residents will enjoy contemporary living spaces, on-site amenities, breathtaking Manhattan skyline views and convenient access to adjacent mass-transit options. Ironstate Development Company is one of the largest privately held real estate development companies in the Northeast. Based in Hoboken, New Jersey, Ironstate engages in the development and management of large-scale mixed-use projects and has a diverse portfolio of residential and hospitality assets. Additional information on Ironstate Development Company is available on the Company’s website at http://www.ironstate.net. Mack-Cali Realty Corporation is a fully integrated, self-administered, self-managed real estate investment trust (REIT) providing management, leasing, development, construction and other tenant-related services for its class A real estate portfolio. Mack-Cali owns or has interests in 275 properties consisting of 266 office and office/flex properties totaling approximately 30.7 million square feet and nine multi-family rental properties containing over 3,300 residential units, all located in the Northeast. The properties enable the Company to provide a full complement of real estate opportunities to its diverse base of commercial and residential tenants. Additional information on Mack-Cali Realty Corporation is available on the Company’s website at http://www.mackcali.com. Statements made in this press release may be forward-looking statements within the meaning of Section 21E of the Securities Exchange Act of 1934, as amended. Forward-looking statements can be identified by the use of words such as “may,” “will,” “plan,” “potential,” “should,” “expect,” “anticipate,” “estimate,” “continue,” or comparable terminology. Such forward-looking statements are inherently subject to certain risks, trends and uncertainties, many of which the Company cannot predict with accuracy and some of which the Company might not even anticipate, and involve factors that may cause actual results to differ materially from those projected or suggested. Readers are cautioned not to place undue reliance on these forward-looking statements and are advised to consider the factors listed above together with the additional factors under the heading “Disclosure Regarding Forward-Looking Statements” and “Risk Factors” in the Company’s Annual Reports on Form 10-K, as may be supplemented or amended by the Company’s Quarterly Reports on Form 10-Q, which are incorporated herein by reference. The Company assumes no obligation to update or supplement forward-looking statements that become untrue because of subsequent events, new information or otherwise.